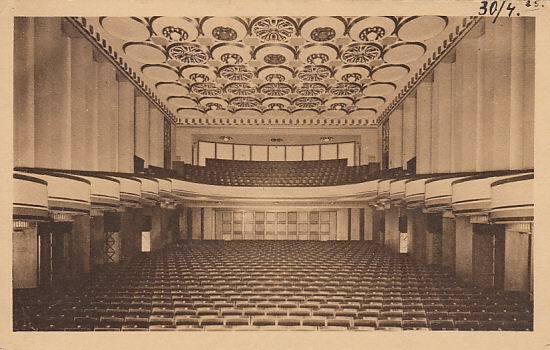 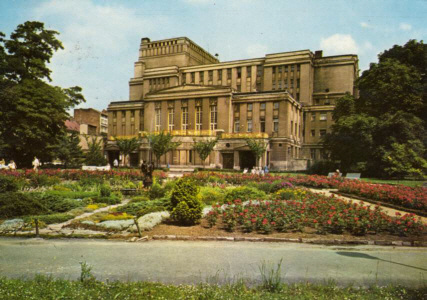 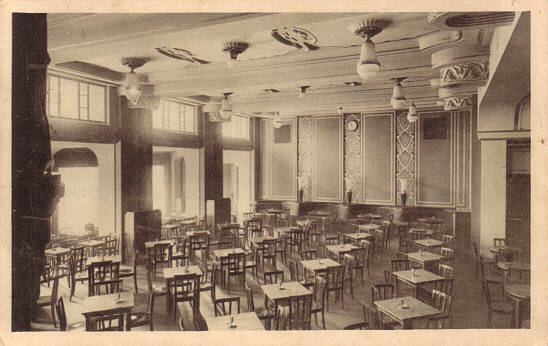 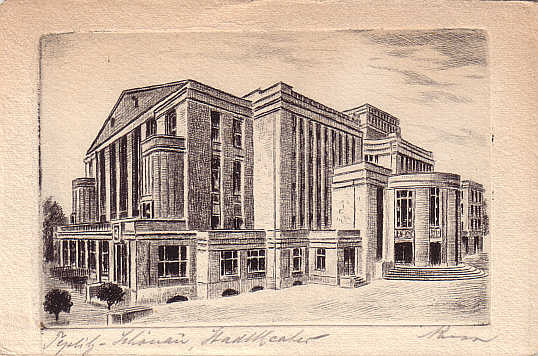 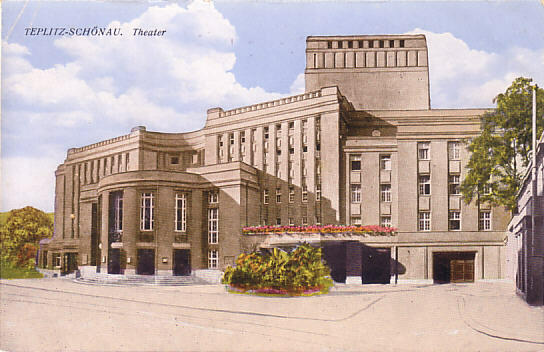 Built 1923-1924 as "Neues Stadttheater" / "Nové Divadlo" by Rudolf Bitzan on the site of the old "Stadttheater" / "Mestské Divadlo" (destroyed by a fire in 1919). 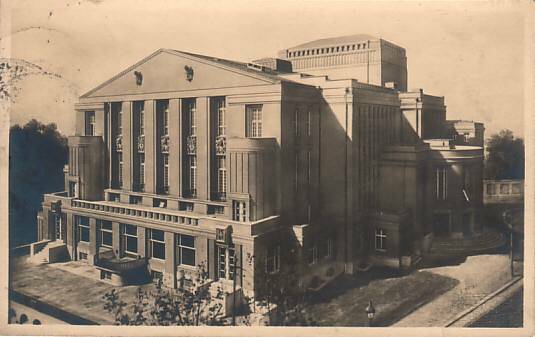 Opened 20 Apr 1924. 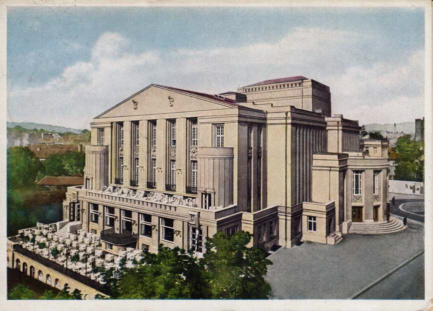 The complex includes the main theatre (1135 seats), a concert hall (600 seats), a cinema, and several restaurants, bars and cafes. 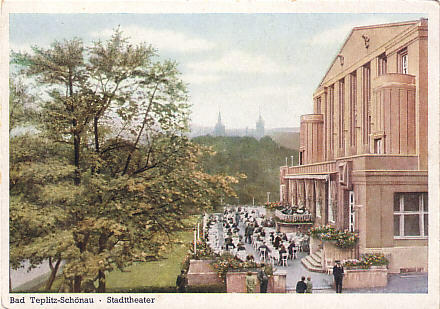 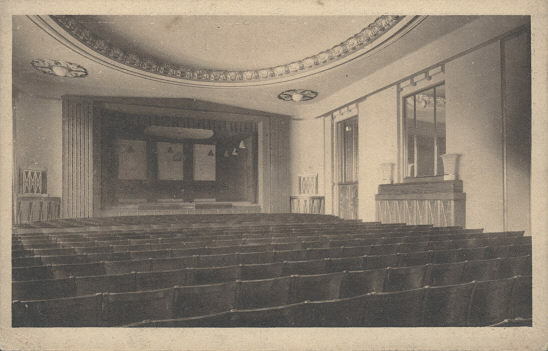 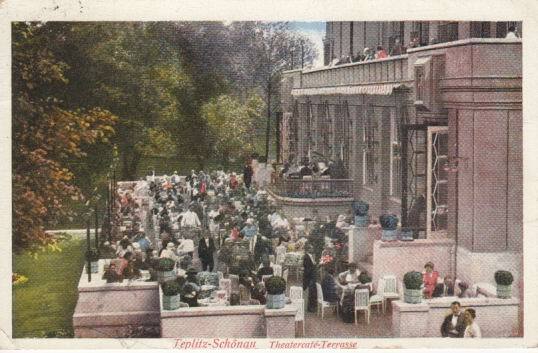 Reverse Text: "Radium-Thermalbad Teplitz-Schönau - Stadttheater - Großer Fest- u. Theatersaal"
Reverse Text: "Radium-Thermalbad Teplitz-Schönau - Stadttheater - Kursaal"
Reverse Text: "Radium-Thermalbad Teplitz-Schönau - Stadttheater - Café"
Front Text: "Teplitz-Schönau - Theatercafé-Terrasse"
Front Text: "Bad Teplitz-Schönau - Stadttheater"
Reverse Text: "Teplice - Divadlo, Teater, Theatre, Theater, Theâtre"
For another picture of this theatre, see Teplice: Olympia-Lichtspiele.